are excellent for thrust attacks. a widespread outbreak of Undead. The most efficient spot to farm Balder Knights (Side Sword) is in Sen's Fortress. With 410 Item Discovery, rest at the bonfire, leave the bonfire area, head right from the top of the stairs, and kill the two Balder Knights there (previously guarding the Flame Stoneplate Ring). Homeward/Homeward Bone back to bonfire. Repeat until the sword drops. Alternatively, one can start from the Sunlight Altar bonfire (near the Altar of Sunlight in Undead Parish). There are two Balder Knights wielding the Balder Side Sword guarding the entrance of the Undead Parish church, and a third one near the wooden plank bridge outside the church. This location is accessed earlier than Sen's Fortress. 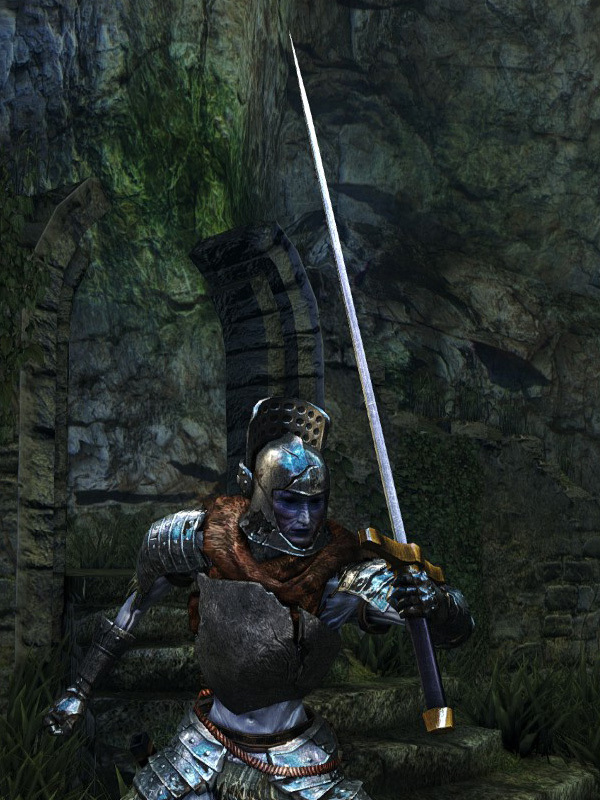 This is an exceptional Straight Sword for DEX builds, as its scaling can reach an A bonus when fully upgraded. Its moveset is also great, with an incredibly powerful thrust strong attack that has great range and can be followed up.